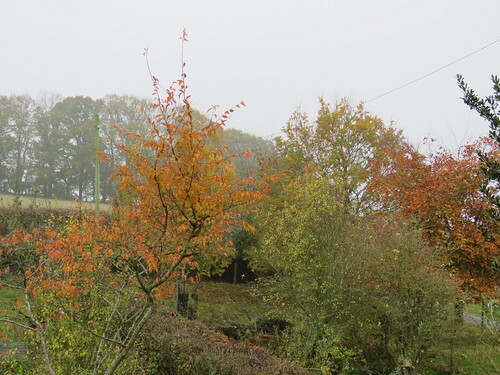 In our garden, the display of autumnal colours is just as dazzling with the copper beech, the rowan and the ornamental cherries being the stars of this blazing spectacle! 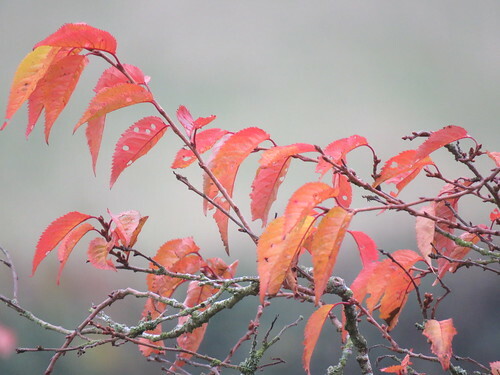 Their rich ruby tones have been particularly striking against the mist and the dark grey skies of the last few days. 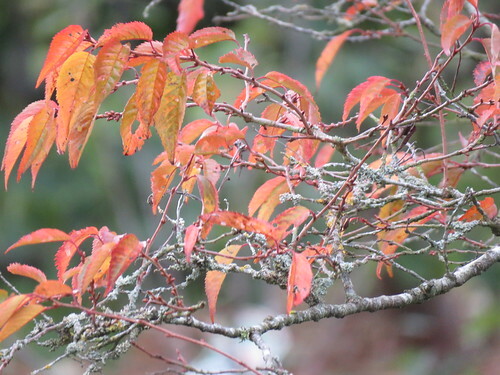 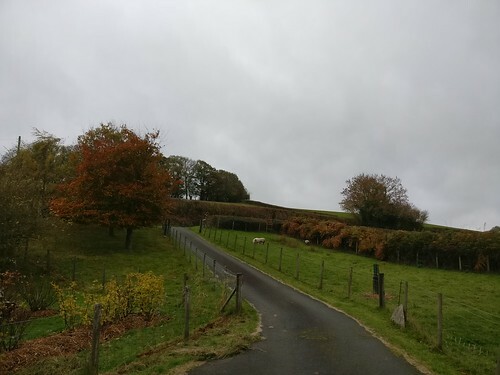 Have you found an autumnal landscape near you?